As you saw in the comments section on the U.S. Food Policy post about the Washington State University (WSU) controversy, food safety attorney and WSU alum Bill Marler issued a challenge to the university. University officials had claimed that financial problems were responsible for the cancellation of a freshman orientation reading program centered on Michael Pollan's Omnivore's Dilemma. Others had implicated pressure from state agribusiness interests with influence in university leadership. Marler's challenge, designed to distinguish between these two theories, was to offer to write a check himself for a visit by Pollan to the WSU campus. If the university's problems were really financial instead of political, Marler reasoned, it would accept his offer. WSU accepted Marler's offer, the attorney's blog reported yesterday afternoon. I knew it was the economic pressures that public education is facing and not any political pressure that caused the change in the reading of Omnivore's Dilemma and Michael Pollan's visit to Pullman. The WSU I graduated from and served, would not bend to that kind of small mindlessness. Why be cynical? Who cares if the attorney is enjoying a bit of grandstanding? Why quibble about inconsistencies in the university's original position? What's the point in asking whether Pollan really needed either the additional publicity or the speaker's fee? This outcome makes everybody look better than they would under any alternative scenario. The American Academy of Pediatrics this week came out with a policy statement on the built environment -- for example, encouraging changes in neighborhood design that are more favorable to walking and cycling. The tone of such statements is typically bland, with lots of passive voice. For a bit more rhetorical punch and visual impact, here is an unpolished but interesting video lecture by Richard Jackson, MD, MPH, a former CDC official and current chair of the Environmental Health Sciences department at UCLA. The CDC website has a bunch of related resources and links. In a revealing irony, from which cowardly university officials everywhere may have something to learn, the decision by Washington State University (WSU) officials to cancel Michael Pollan's Omnivore's Dilemma as the common reading assignment for freshman orientation next year is raising the book to new heights of notoriety and importance in that university community. Reports today in the Spokesman-Review and the Chronicle of Higher Education (pay site) make a plausible case that pressure from Washington agribusiness interests may have been behind the cancellation. 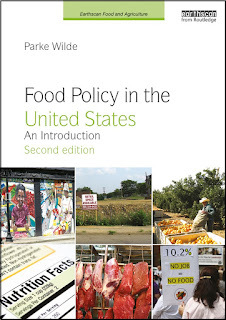 One faculty colleague, who asked not to be named in connection with this controversy, told U.S. Food Policy that WSU has its own Pacific Northwest character that distinguishes it from traditional agricultural universities in other regions. That said, WSU Regents include politically powerful farmers and ranchers such as former Regent Peter Goldmark who ran for U.S. Congress in 2006 and is currently Washington State Commissioner of Public Lands. With extreme budget pressures, I understand how this could happen, but I don't like it. I imagine this foolishness will triple the number of incoming students at WSU who read the book. [O]ver the course of the last century, the U.S. has witnessed a dramatic shift away from traditional diets and toward a diet comprised primarily of processed brand-name foods with deleterious long-term health effects. This, in turn, has generated increasingly urgent calls for policy interventions aimed at improving the quality of the American diet. In this paper, we ask whether the current state of affairs represents a market failure, and—if so—what might be done about it. In a way, Trent's essay is an economist's reflection on the issues raised by the tradition of food industry criticism exemplified by Pollan. A while ago, when I reviewed Omnivore's Dilemma for the American Journal of Agricultural Economics, I encouraged professional colleagues to read the book in exactly this spirit -- to wrestle with it, criticize it, and be inspired by it to work on novel economics questions that have been neglected by the mainstream literature. Regarding today's controversy, Smith says, "I have discussed (and will continue to do so) Pollan's work in my undergraduate food / commodities marketing course, and it would have been great to expand the discussion to the rest of the student body." He adds, "I also find it ironic that this was all happening around the time I issued a working paper on the insidious influence big business has historically had on consumer access to information about food!" Update: See also Tom Laskawy at Grist. For our fifth monthly "Living Richly" dinner this week, we enjoyed a presentation by food writer (and local Arlington, MA, resident) Betsy Block, reading from her book, The Dinner Diaries. Amusing, personable, and confessional, the book describes her ambitious makeover of her family's eating routine -- aiming for better nutrition, food safety, environmental profile, and more, all at the same time, while simultaneously wrestling with lukewarm participation from some family members. Not everybody who tries finds eating well quite as difficult (! ), in part because many people aim lower on one goal or another. A good food movement writer like Michael Pollan aims high on sustainable and local food, but doesn't seek so hard to meet nutrient standards (saying they smack of nutritionism). Others meet nutrition goals without having such high standards for home cooking from real foods. But, whether their own personal goals are hard or easy, anybody will relate to this charming description of the journey. Maya comes upstairs Sunday morning to interrupt my meditation. "Mommy, Mommy, I have good news," she tells me excitedly. "Zack likes fried cheese!" She thinks this is good news because Zack is the only one in the family who doesn't like cheese, and this complicates things sometimes, as if life wasn't already complicated enough. He wouldn't eat pizza until he was seven, and while I can't say this kept me up at night, it did make for some awkward moments at birthday parties. So, trying to stay in the meditative moment, I sigh, get out of bed because I meditate lying down under the covers - "I think they used to call that a nap," my husband, Andy, says - and come downstairs to find Zack sprinkling shredded cheese into an oiled pan until it comes together in a greasy, brown-edged clump. "Aren't you happy I like healthy, delicious fried cheese, Mom?" he taunts, then laughs wickedly. I shake my head and walk away; otherwise, I might do something I'll regret, like pick up the plate and dump its contents into the sink. I'd always thought food was pretty straightforward: you're hungry, you eat; you're not, you don't. Then I became a mother. Thank goodness. I don't know if it's me, but produce in the grocery store seems scary. This is likely attributed to the information I receive in my classes. Is ignorance truly bliss? Nay. Regardless, there is something endearing of purchasing vibrant colored produce at an outdoor market in the community. Getting to meet farmers, neighbors and artisans is a perk. Fresh produce that was picked fairly close by is the prize. Can't wait to pull out my Moosewood Cookbooks and start eating more seasonal foods from my favorite food group: VEGGIES!I love the Moosewood collection. Very simple instructions and ingredients and mostly vegetarian. Winter is over and Farmers Markets are back! We know you’ve missed us, but don’t despair, the wait is over! The Federation of Mass Farmers Markets is pleased to announce the opening of our local farmers markets. In just a few days – on Tuesday, May 19th – the Copley Square market in Boston will open for the season. The Copley Square market is one of our largest and runs from 11:00am to 6:00pm every Tuesday and Friday from May 19th through November 24th. Buy your fresh veggies, local meats, artisan breads, jams, delicious sandwiches, and fruits of all kinds here. It’s so much more vibrant than the produce aisle at the supermarket. 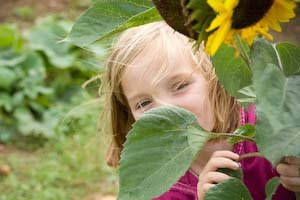 * Framingham Village Green market, which begins June 11th and runs on Thursdays. Visit www.massfarmersmarkets.org for a complete list of the 180-plus farmers markets opening across the state over the next few months. Once the markets are open you can look forward to fresh produce local to your area. Great finds in May include arugula, mesclun mix, and chard. You’ll also see tender asparagus, tangy garlic scapes, fava beans, and maybe fiddleheads if you’re lucky. Radishes, rhubarb, strawberries, and peas will follow as May blends into June. And don’t forget: cheese, baked goods, preserves, locally raised meat, and other goodies are always available and locally made by our vendors. So, stop by the market closest to you. You'll help support local farmers, learn about your community, and get a fantastic meal in the process. Mass Farmers Markets is a non-profit organization that harnesses the power of farmers markets to create healthy communities across the state. MFM is the only organization working state-wide to facilitate relationships between farmers and consumers of all income levels in order to improve the livelihood of farmers and increase access to fresh, local food. For more information, visit www.massfarmersmarkets.org. Thanks to Marisol Pierce-Quinonez for bringing this one to my attention. VeggieTrader is the new Craigslist for the sustainable-foodie-locavore. 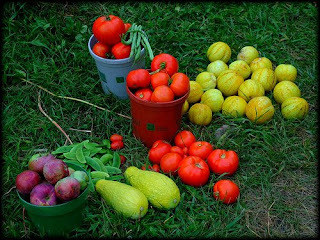 Tagged as "your place to trade, buy or sell local homegrown produces" VeggieTrader is the latest attempt to connect fresh, homegrown garden produce with the community. What a great revolution for home growers, new food markets and community endeavors. Unfortunately there were no postings in the Boston area. The site started in San Francisco. Hopefully it catches on, since I don't have space for a home garden. Happy trading! Massachusetts joined New York and California passing legislation to provide consumers the calorie information for the food they are purchasing at food establishments. Food establishments with 20 or more locations in Massachusetts will be required to provide that information at the point of purchase ― either on the menu board or on the restaurant’s menu. The new rules, which will take effect in November 2010, will cover approximately 50 chain restaurant companies, representing more than 5,000 locations in Massachusetts. An 18-month implementation timeline will allow local health departments and the industry the opportunity to familiarize themselves and prepare for the new regulation. While more research needs to be done, preliminary research shows that providing consumers with calorie information does effect choice. A literature review by Harnack and French, published in the International Journal of Behavioral Nutrition and Physical Activity in 2008, showed that five out of six studies provided some evidence consistent with the hypothesis that calorie information may influence food choices in a cafeteria or restaurant setting. They claim, however, the results "suggest the effect may be weak or inconsistent." 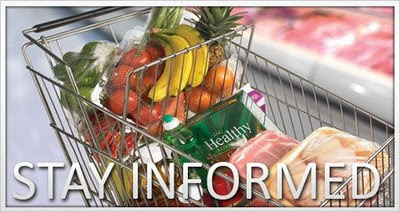 Health regulations like the one passed today are popular with consumers. A study conducted in February 2009, gauging reaction to New York City’s calorie labeling law, showed that of those who visited restaurants with posted information, 89% considered it a positive change — and 82% report that nutritional information on menus had made an impact of their ordering. The measure adopted today is part of Mass In Motion, a wide-ranging statewide initiative to promote a range of wellness activities for Massachusetts residents, businesses and communities. Last month, the Public Health Council also passed regulations allowing for Body Mass Index measurements for all school children in Massachusetts. Additionally, health officials will soon announce grants for communities to establish wellness initiatives at the local level. These efforts, combined with an expanded state-sponsored Workplace Wellness program and an interactive web site (www.mass.gov/MassInMotion), represent the most comprehensive effort to date to deal with the serious problem of overweight and obesity in the Commonwealth. The new regulation underwent a thorough public review process that included two public hearings and the submission of comments from more than 100 individuals and groups. More information at www.mass.gov/dph. On a national note, Sen. Tom Harkin, D-Iowa, and Rep. Rosa DeLauro, D-Conn have introduced the Menu Education and Labeling Act (MEAL) geared at chains with 20 or more outlets. The restaurants would be required to post calories on menu boards and food displays. In addition, saturated fat, trans fat, carbohydrates and sodium would be required on printed menus. The house version of the bill (HR 2426) has 34 cosponsors and is in the House Energy and Commerce Committee. The senate bill (S 1048) has three cosponsors and is in the Senate Health, Education, Labor, and Pensions Committee. President Obama's Food Safety Working Group held its first open listening session yesterday. For public comments, there is a Twitter hashtag and a Facebook page. At the session yesterday, Agriculture Secretary Vilsack said food safety will be an administration priority. Such statements are typically bland. I'll just quote a couple points that might generate more interesting discussion. -- As many people know first hand, in this economy we do not have unlimited resources. Nor can we simply pass higher food production costs onto struggling consumers. We must ensure that we are allocating our food safety resources effectively and efficiently. That means focusing the most attention on the products that have the most potential to cause harm. -- The safety of a product should not be determined by where it originated. We live in a global community and by working more closely with our partners around the world we can make sure that the food the US is importing is as safe as the food we are exporting. NPR says the nominee for FDA Commissioner, Dr. Margaret Hamburg, may finally be on her way to a Senate confirmation vote. A few days earlier, Marion Nestle asked, "Why can’t Congress approve her appointment right away and send her off to work? Don’t you think something is seriously wrong with a political system that holds food safety hostage to partisan politics?" In gardening, we're starting small. Last year, I planted five raspberry bushes, which should have a harvest in July. This month, my family planted a few tomatoes and basil in containers on the one sunny side of our house. If it goes well, we may try something more ambitious in a future year. It would help if we had a system here like the United Kingdom's "allotment system" that food policy writer and Ethicurean host Bonnie Azab Powell describes in a fascinating article in the Washington Post food section yesterday. Since the 1950s, councils must provide such space to any group of six or more residents that petitions for it, regardless of income. Most allotment sites are owned or leased by the local authorities and rented to allotment holders for a nominal annual fee, which can be as low as £8, or about $12. On National Public Radio's Living on Earth, Jessica Ilyse Smith this weekend covers food deserts, particularly in New York City and Washington DC's eighth ward. Many low-income neighborhoods in the United States lack access to fresh and affordable fruits and vegetables. Residents in these so-called ‘food deserts’ rely on neighborhood corner stores and fast food chains as their main sources of food. But, as Jessica Ilyse Smith reports from New York City, a number of programs are working to close the food gap by bringing healthy foods close to home. Jessica is a graduate student at the Friedman School at Tufts. Mark Winne, who is interviewed in the segment, visited last year and this Spring. While still acknowledging Ward 8 as a food desert, it is also worth noting the retail that does exist as part of contemplating remedies. For example, see earlier reports in this blog and in the local DC blog, And Now, Anacostia, discussing both the new brand-name chain supermarket and older grocery stores. The quick-serve restaurant industry publication QSR reports that KFC's coupon promotion for grilled chicken, featuring Oprah Winfrey, has been a public relations "nightmare." Was it the blistering criticism from Paula Crossfield at Civil Eats? If she would have taken the time to think about all this, I’ll give her the benefit of the doubt and assume she would see that encouraging these practices is not in line with the Eckhardt Tolle, Live Your Best Life, “We will all be judged on how we treat the least among us” persona she sells on her popular television show. Individual choices do matter, especially the choices of those with enough money to buy every person in the United States two pieces of chicken. Was it the pointed contrast noted at Ethicurean between Oprah's KFC promotion and her earlier reporting on production practices (as described by Eating Liberally)? Naw. The restaurant executives and QSR reporters never noticed those commentaries. The "nightmare" in the QSR headline is the overwhelming demand for chicken from the coupon-wielding masses, causing what Gawker describes as near-riot conditions in some store locations. After California passed landmark menu labeling rules last year, other states have considered similar policies. In Oregon, a proposal was advancing to the House floor last week. The Washington Times -- you know, my regular reading -- had this coverage in April about the debate on a similar bill in the West Virginia statehouse. When state legislators in West Virginia sat down in a House committee last week to dine on fatty doughnuts and breakfast biscuits, a video of the proceedings hit YouTube and earned mention by "Tonight Show" host Jay Leno. The irony of the now viral meeting was that the legislators snacked on high-calorie foods just as they killed a contentious bill that would have required most restaurants in the state to post calorie counts on their menus in an effort to encourage healthier eating. Across Appalachia and in other areas of the country, rising health care costs from obesity-related illnesses are alarming, with insurance costs rising to treat such conditions as heart disease and diabetes. In response to the widely held view that we all know what is in the restaurant food anyway, the Center for Science in the Public Interest (CSPI) has posted an online quiz. How'd you do?